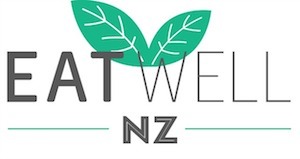 The life of a nutritionist: Interview with Claire Turnbull. 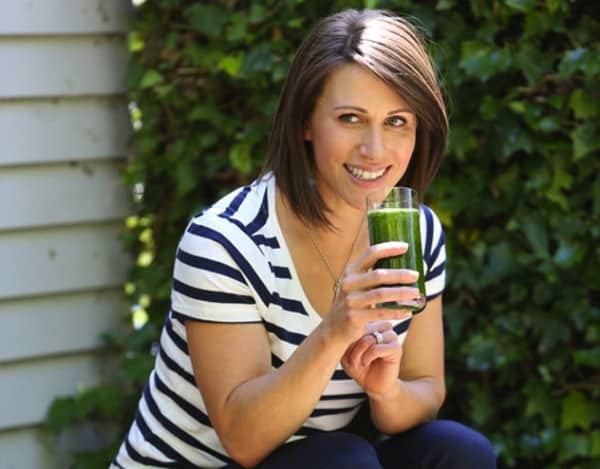 Claire Turnbull is one of NZ’s best known nutritionists and one busy lady. As well as being mum to her gorgeous boy Zac, Claire runs Mission Nutrition, is a nutritionist/dietitian for Healthy Food Guide magazine and is also the author of two fantastic books, Lose Weight for Life and Feel Good for Life. Talking with Claire was such a pleasure, she was so friendly and down to earth, and her passion for good nutrition was evident. Here’s a sneak peak into the life of Claire. Can you tell us a bit about what got you passionate about nutrition? My family have always worked in the health industry. My dad is a Doctor, my mum’s a nurse and my brother a pharmacist and now a doctor too. I was surrounded with medical chitchat for as long as I can remember when I was growing up so it is no surprise that my first job aged 16 was in the health sector. I worked in nursing homes, prepping food in hospital kitchens and then by 18 I was working as a nursing assistant in hospitals. Nutrition was always something that interested me. I was vegetarian for 14 years (aged 4-18) because of the mad cow disease issue in the UK, my mum has endless food allergies and intolerances plus coeliac disease runs in our family. Eating disorders also run in my family with my mum suffering from anorexia in her 20’s, my brother doing through periods of binging and vomiting and I certainly had my own share of food issues which started at a very young age too. When it came to the time where I was working out what to do at university, Nutrition and Dietetics was the perfect choice for me. I also became a qualified personal trainer at University, as I really wanted to be able to combine my passions for nutrition and fitness. One thing people are always interested in is what nutritionists eat. What are some of your go to meals? For breakfast most days I have unsweetened yoghurt with a few oats, nuts, seeds and some fruit (mostly a grated apple) or some kind of super delicious healthy smoothie. At the weekend I am more likely to have poached eggs, with a slice of wholegrain toast and heaps, and heaps of veggies! 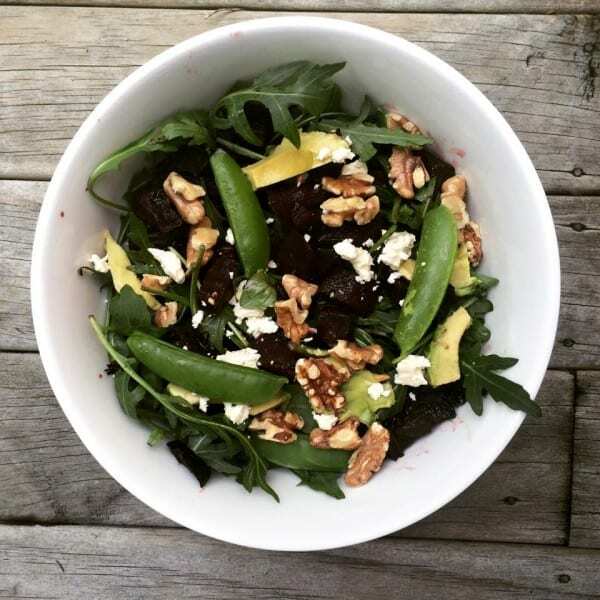 For lunch, in summer – it’s generally some sort of salad with chicken, tuna or eggs and avocado or if I am on the run I will grab sushi or, as I know where all the best salad hangouts in town, I’ll go there! In the cooler months, it’s soups galore! Today I had a home made chicken, barley and vegetable soup – wow it was good! Dinners are a wide range of things, but generally include meat, chicken or fish, with heaps of different veggies and if I am going to have starch with my dinner – it tends to be rice, mostly brown. Recently I have been getting into the cauliflower pizzas and rocking out my crockpot too! My quick meal option on a busy night – always an omelette, so easy! I just want to help make healthy eating easy and normal for people and also help women to have a healthy relationship with food and their bodies. With all the crazy diets out there and the pressure us ladies feel to look and be a certain way, or top of busy, full on stressful lives, it is all too common for women to go from diet to diet, obsess over food, feel guilty about eating and use food as a coping strategy to deal with emotions. We need to eat food to nourish our bodies, but we should also be able to enjoy it! What’s your favourite way to keep fit and how do you fit this into your life being a busy working mum? My favourite way to keep fit is the gym, for me a workout is my own time and space, I love it. I put my headphones on and enjoy that time out just for me. When it comes to fitting it into my life, I just take what time I have and use it. If I’ve only got 20 minutes, I’ll still go! But when I can’t, I get in as many walks as possible. To make sure I do something active every day, I wear my gym gear during the day. Then if I get a chance to go, I’m dressed and ready to go without distractions. I’m lucky I work in a job where I can wear gym gear! 2. 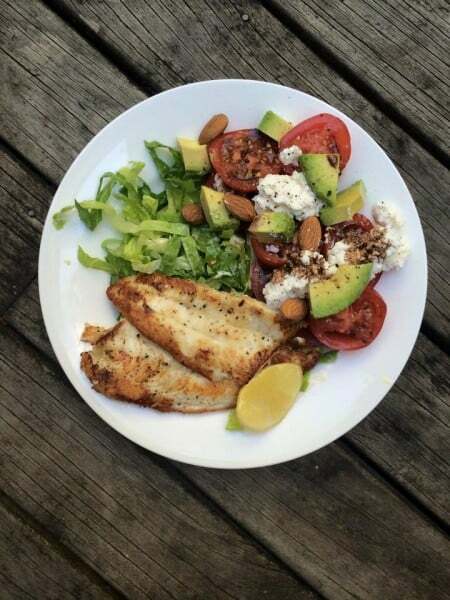 Fish – I love fish meals, I could eat fish every night! Japanese is my favourite food by far and treat wise, you cant beat ice cream in my eyes! What are your fridge and pantry staples? For my fridge there’s always milk, unsweetened yoghurt, cottage cheese, nuts and sparkling water. I use mustard and wasabi a lot for flavour, so they are a staple. There’s also always eggs and of course, lots of vegetables. I like to make my own chutneys too, so there are heaps of those! In my pantry, there’s always oats, quinoa, brown rice and lentils. There’s also pasta which my husband and little boy like to eat. What’s one topic in nutrition that you see people most confused with? I think it’s that people are looking for the one perfect ‘diet’, but the truth is there isn’t one. If you look around the world at the places where people live the longest, there are different ways in which people eat which work but they aren’t on ‘diets’ – they are just eating heaps of fresh produce, minimally processed foods and not snacking constantly on sugary junk!! We don’t need to go on ‘diets’ or follow restrictive plans to be healthy, we just need to go back to basics really. Finally what’s your favourite piece of advice for staying healthy and eating well? Find ways to feel good and look after yourself as you are now, don’t wait for when you ‘have more time’ – that time will never come!! Ditch the sugary drinks, call your friends more, go decaf, walk before work, listen to music which makes you smile, try something new, get the help you know you need, give up trying to be perfect…. Lastly…don’t be afraid to ask for help and make sure you surround yourself with people who support your health and happiness!